Address: 182849 Pskovskaya obl., Bezhanitsky r-n, der.Tcsevlo, Sovetskaya st., 5, off.21. Zapovednik Polistovsky, in the eastern part of Pskovskaya Region, on the territory of the Loknyansky and Bezhanitsky Districts. 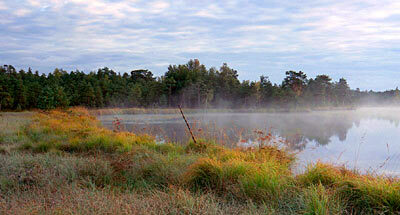 The Zapovednik was founded in 1994 on the base of a hunting zakaznik. Its area is 36 thousand ha. The Zapovednik is located within the southern taiga bog complex of the Polistovo-Lovatskaya system of high muskegs (moss bogs), one of the greatest in Europe; it is similar to Rdeisky Zapovednik, which it adjoins and forms a huge united bog with. The relief is lowland valley between the rivers Lovat and Polist. 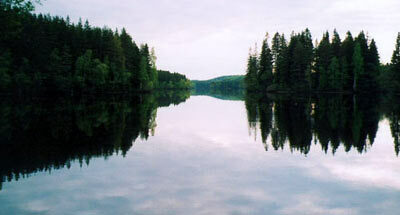 There are several large lakes — Russkoye, Krugloye, etc. The main area (31 thousand ha) is occupied by bogs, high sub-shrub muskegs mainly made up of brown bog moss, Chamaedaphne calyculata, heather and cranberry. Forests (4.1 thousand ha) are present, with grass aspen forests and birch forests with an additional mixture of lime, maple and oak. Parts of the spruce and pine forests remain. Elk, alpine hare, wood grouse, black grouse are usual. Of rare species in the Red Data Book of the Russian Federation there are: golden eagle, fish hawk, white-tailed eagle and black stork. 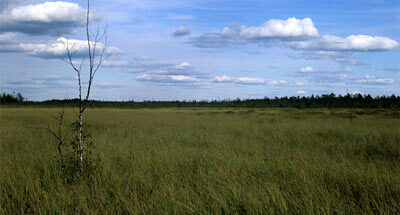 The Zapovednik’s territory within the Polistovo-Lovatskaya bog system is put on the list of bogs of international significance.